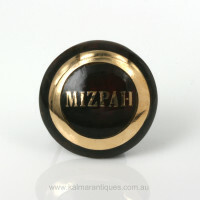 Product code: ES2177 Categories: Antique, Antique Brooch, Pique Jewellery, Mizpah Jewellery. Here is an antique brooch that will appeal to so many people and collectors of antique jewellery and is so rare and unlike any that we have had before. Firstly it is made in pique which is a form of jewellery that is made with tortoiseshell inlayed with gold and/or silver and always looks so good on any outfit thanks to the wonderful natural chocolate brown colouring. And then this is a Mizpah brooch which has its own collectors and is so steeped in history and wonderful in its own right, so to get an antique pique brooch combined with Mizpah jewellery makes this a very special piece. Measuring 3.2cm in diameter, this pique Mizpah brooch dates from the Victorian era of the 1890’s and will look good set onto any outfit. Antique jewellery is always so special, and this antique brooch is just spectacular and a wonderful piece of history.